WE PROVIDE PROFESSIONAL REAL ESTATE SERVICES TO NATIONAL AND INTERNATIONAL HOME BUYERS, and we offer high level of personalized service in ENGLISH and SPANISH. Our local expertise of San Antonio housing market will help you find your dream home. Buying a home in San Antonio is also very safe and secure, as all transactions are subject to U.S. contract law and are handled by neutral third party escrow companies who oversee all aspects of the transaction between seller and buyer. We already helped families, young couples and empty nesters to find their dream home. Let us help you as well.
" We offer you an Exceptional Exposure for your home in ENGLISH and SPANISH with a STRONG MARKETING PLAN for NATIONAL and INTERNATIONAL buyers. Many people from outside the U.S. buy real estate in San Antonio Texas as investments, vacation homes or for future relocation. Currently we are seeing lots of buying from people from other states and countries due to the strong economy and favorable housing market in San Antonio." 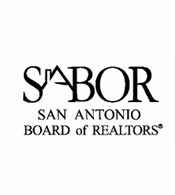 Hispanic buyers play an important role in the house market of San Antonio. As the fastest growing population in the country, Hispanics had a projected buying power of $1 trillion in 2010 and it is expected to reach $1.5 trillion in 2015; that is a 50% increase. A bilingual real estate agent fluent in ENGLISH and SPANISH will be your best choice to promote your home with Hispanics buyers as well. Your most important decision when selling your home is the selection of the person you choose to represent you. 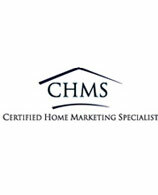 Call us today for a FREE Marketing Consultation appointment. Are you looking to expand or start a new business in San Antonio? We can help you with your commercial projects. We work with the best specialists in commercial real estate in San Antonio that will help you achieve your goals. About Andres Lafuente . Broker-Associate . Home Team of America. Andres Lafuente is a Broker-Associate/San Antonio Realtor with several designations and a background in Luxury Home construction. His fluency in English and Spanish, well-respected negotiation skills, dedication to service, and local market knowledge have garnered him countless repeat clients and referrals. 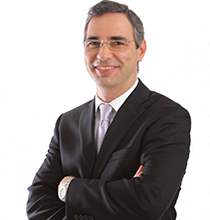 A native of Mexico, Andres holds an International Business Master Degree from UDLA Universidad de la Americas. His multi-cultural experience and local market knowledge helps himself in finding the best investment for all of his clients every time. The combination of his 15+ years in Marketing and Sales with his Real Estate experience, giving him a unique perspective and advantage for International buyers and Corporate executives interested in owning property in San Antonio as well as local homeowners who are interested in broadening their prospects when it comes time to sell. For all your Real Estate needs, Andres Lafuente will provide unparalleled client service.